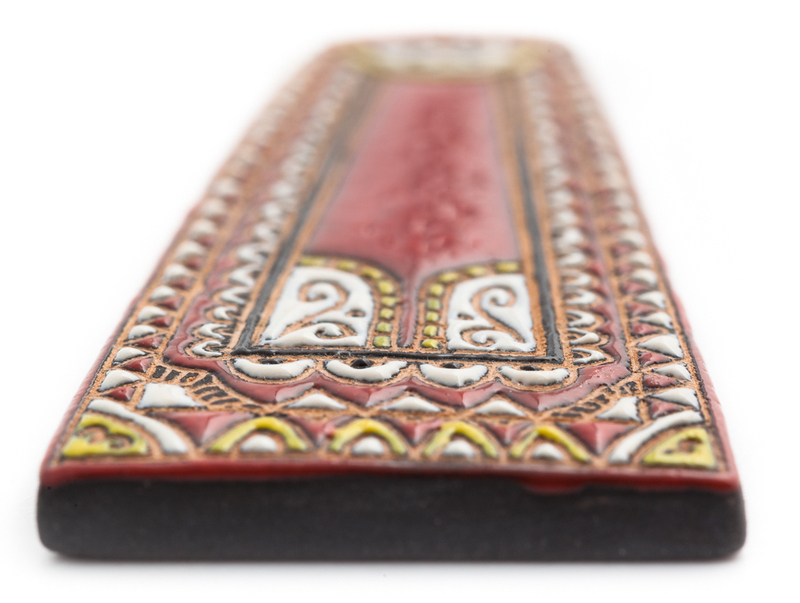 These ceramic pendants, enriched with small miniatures, remind of sa franda, the decorated and embroidered apron worn traditionally by Sardinia women. The personal and recognisable graphic trait in the harmonious oblong lines of these white ceramic plates reveals fine drawings of marine animals, realised conveying evocative aesthetics. 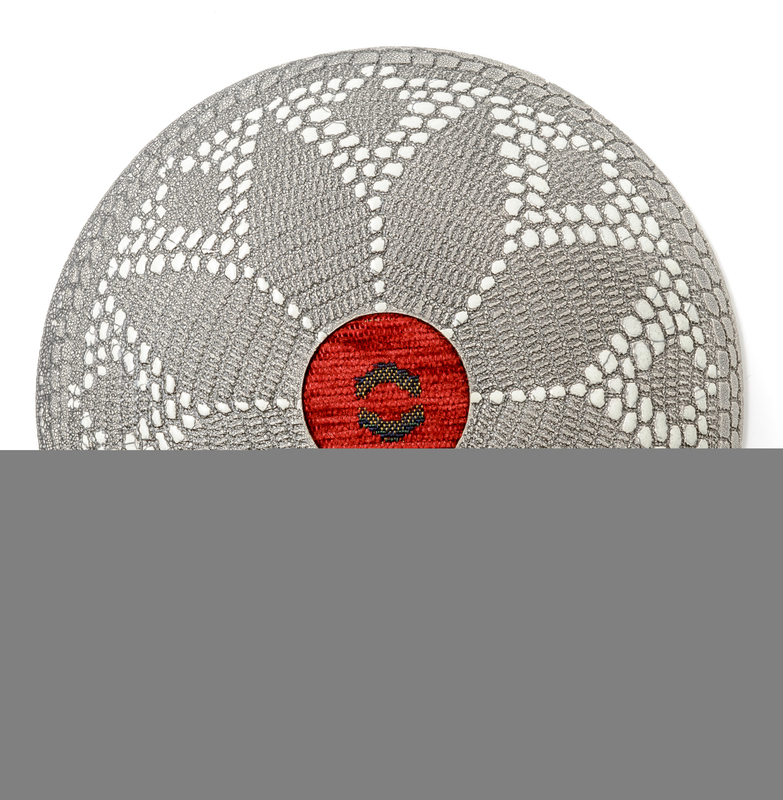 Decorative ceramic element with motifs inspired by the embroidery of traditional Sardinian dresses. The shape evokes sa franda, a decorated apron that was part of the women's apparel, that embroiderers embellished using their technical and composition skill. Being a clever and creative artisan, Laura Puggioni uses ceramics with a personal and recognizable style, characterized by extraordinary aesthetic references, with elements of mimesis, referring to other forms such as embroidery, handmade jewellery, weaving and inlay. Being an educated artist, trained at the Academy of fine arts of Sassari, she hones her technical skills by attending a workshop in Nuoro. The plastic medium is ideal to express a personal stylistic research that is rooted in the tradition of handmade fine knowledge of Sardinian material culture. In the Sinzos laboratory, located in Nuoro, the artisan works with care and discipline. Looking at her while she works, using her tools, particularly the small ones used for decorations, is as such a great suggestion to craftsmanship. Multiple references to handicraft traditions are featured in Laura Puggioni production. Sa franda is a collection of decorative panels and small pendants inspired by women's traditional Sardinian aprons. Shapes and designs are skillfully decorated with embroidery patterns in bright colours on full colour backgrounds. Bottoni is the line of pendants with evocative décors of fine filigree crafted with local jewellery traditional techniques. 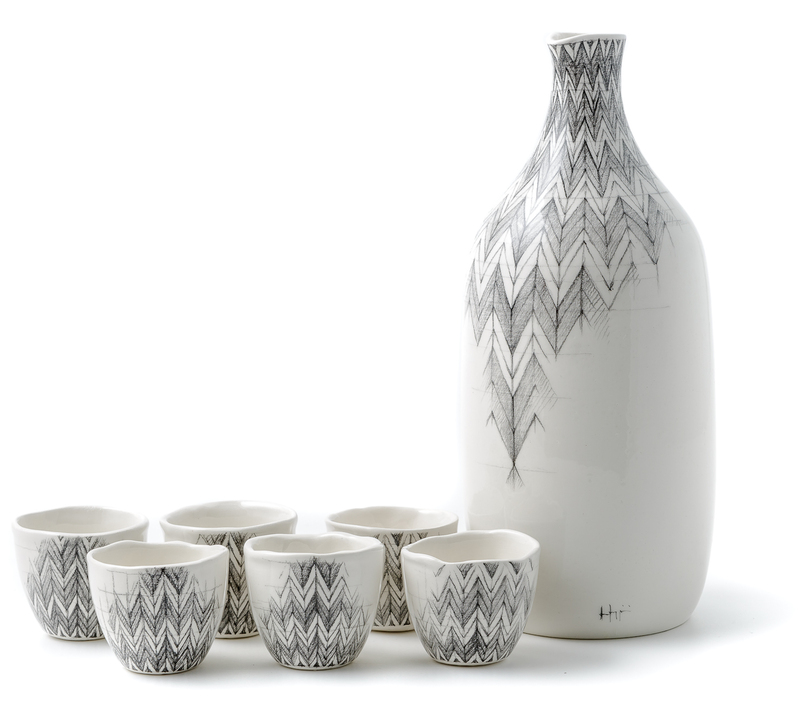 Ceramic centerpieces feature s'impanna, a brocade insert, typical of baskets making. Mattonelle are free series of decorative subjects inspired by fauna and flora. The potter moulds clay following the plate forming technique, decorated with graffitos and fine painted motifs. She uses brilliant many-coloured glazes applied during multiple firing sessions, with tiny brushes on opaque slip surfaces.